15 inspirational quotes for new graduates from pop culture pathfinders #infographic ~ Visualistan '+g+"
When you go through a major life change like moving or graduation, it can be nerve-wracking to say the least. Even if the change is a positive one, it can be a bit scary to embark on a new adventure. 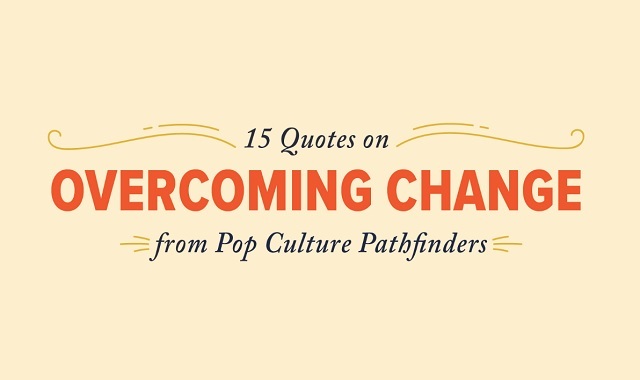 We designed this infographic to include 15 inspirational quotes from pop culture pathfinders to inspire hope and fearlessness in anyone who reads it. We share iconic quotes from some of the most memorable characters like Professor Dumbledore, Rafiki (from the Lion King) and Don Draper. Whether these characters are setting out on a journey, overcoming adversity or making the best of a tricky situation, we hope their words will inspire you to embrace the challenges ahead of you! We know this is the time of year that people graduate. Whether it be from elementary school, middle school, high school or college—it's always a new experience. Use these quotes to inspire and propel you forward!